Ready for the slow country life - sipping tea on the porch, reading the paper by the crackling fire place, cooking pot roast in your open kitchen? Your farmhouse fantasy awaits. Farmhouse style has made a comeback, and it's not hard to see why. Classic farmhouse interiors are cozy and inviting; usually featuring natural elements such as exposed ceiling beams, planked walls, and hardwood floors. 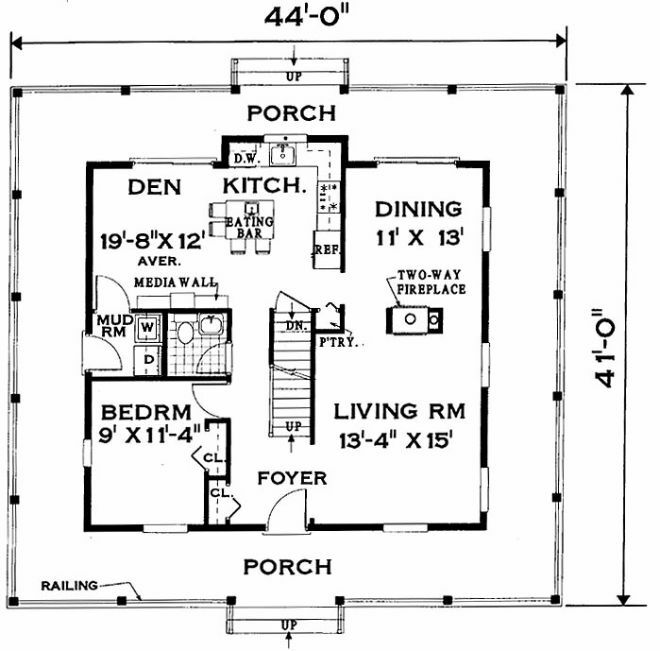 So with that in mind, take a look at the six farmhouse layouts below and imagine the possibilities. 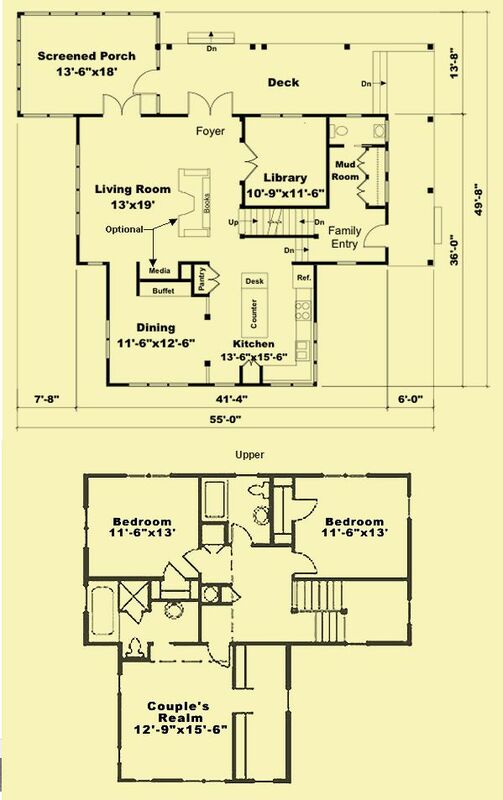 Anyone who wants to purchase these floor plans can do so by following the link after each title. 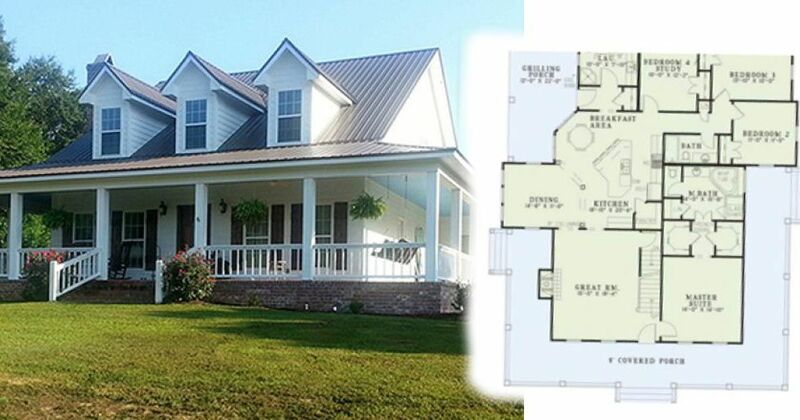 This modern farmhouse plan has a beautiful exterior with a broad front porch in front and a screened porch in back. 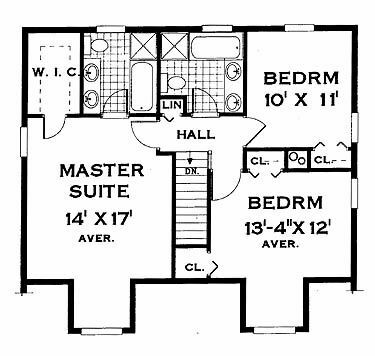 Inside an you'll find an open floor plan with minimum walls on the first floor. An impressive gourmet kitchen opens to the family room with a fireplace. A loft space awaits at the top of the stairs. Also upstairs are four bedrooms and a room over the garage. 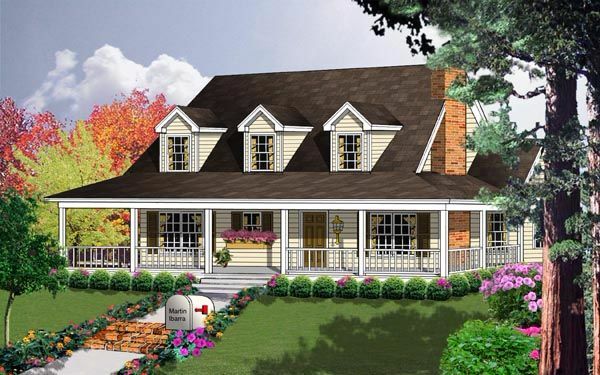 A wrap around porches and dormers give this house that classic farmhouse look. The enormous great room boasts a 10 foot ceilings and a wall of windows with a view of the rear covered porch. The kitchen features a large peninsula island and is open to the dining room. 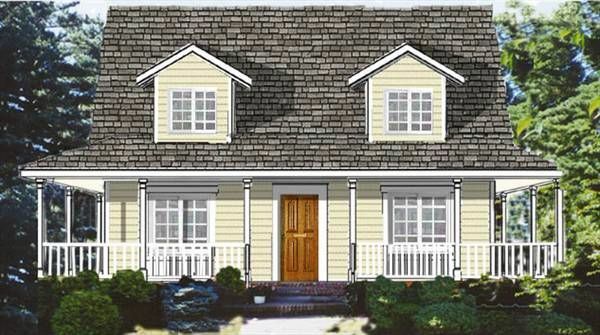 The spacious master bedroom has French doors accessing the back porch and a large spa style bathroom. 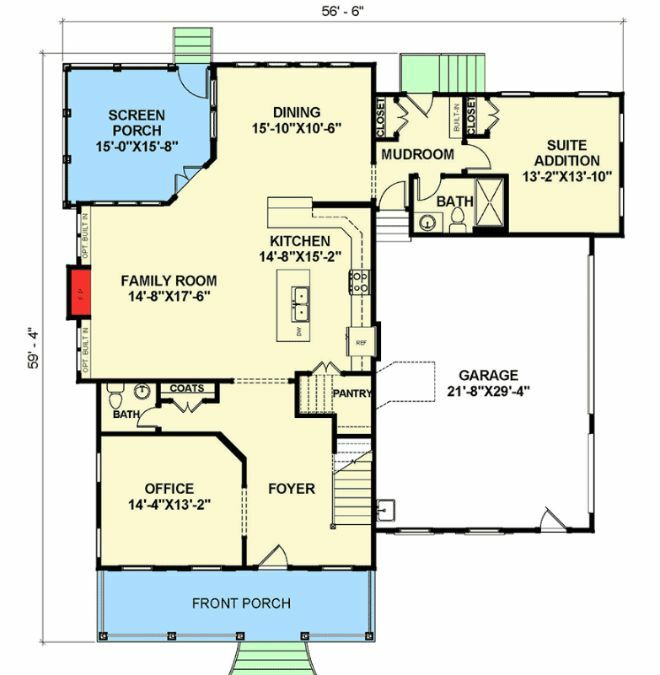 Two other bedrooms are located on the opposite side of the house. 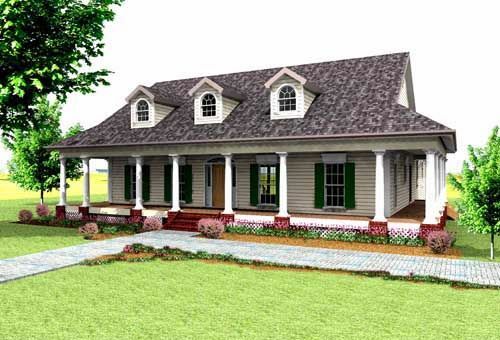 This beautiful farmhouse plan features a deep, wraparound front porch perfect for outside entertaining. The entrance opens to a spacious great room with a cozy fireplace. The luxurious kitchen features an over-sized island with seating for four. 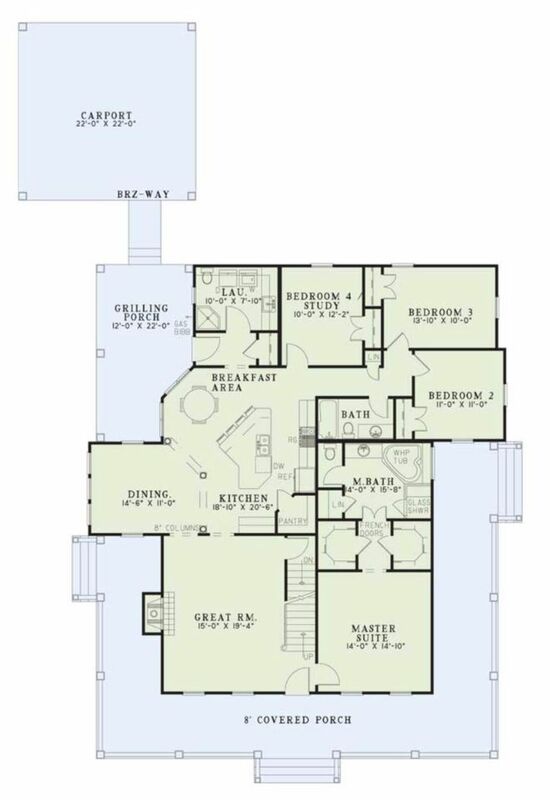 The master suite includes his and her walk-in closets and french doors lead to the bathroom. Three other bedrooms are located at the rear of the house. 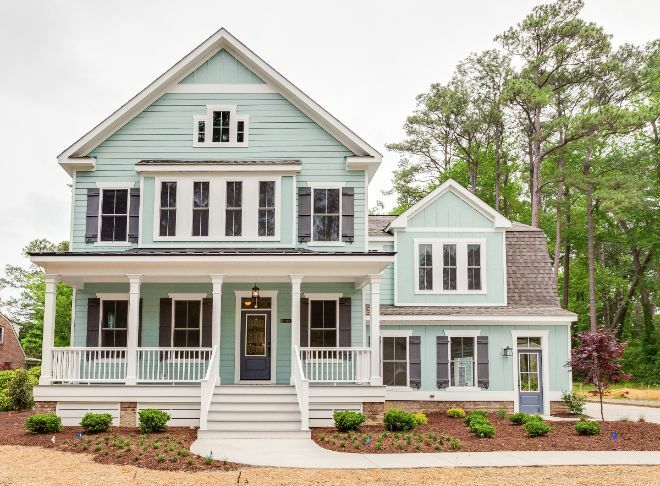 The front of this classic farmhouse has a 9 foot deep front porch that connects to a screened porch that extends beyond the right edge of the house. 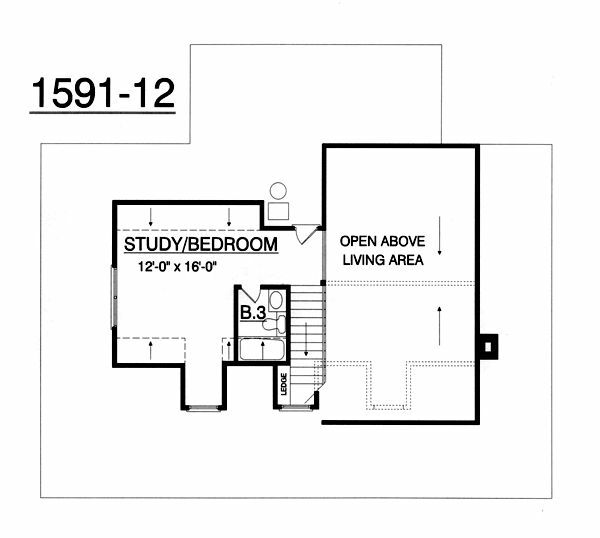 Double doors lead to the foyer where the living room is on the right, and the study on the left. The kitchen has a large center island with a conveniently located desk at one end. 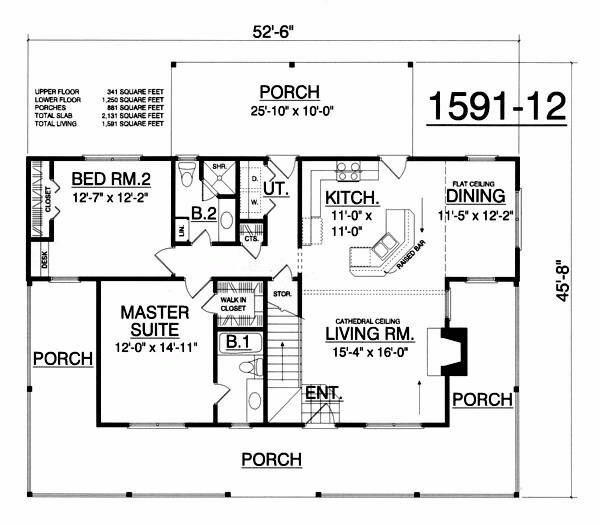 Upstairs there's a master suite and two additional bedrooms. This quaint farmhouse is only 1,500 square feet but still feels spacious thanks to a cathedral ceiling and upstairs loft. The large living room has a fireplace and opens to the dining room and kitchen. The kitchen features a raised snack bar. 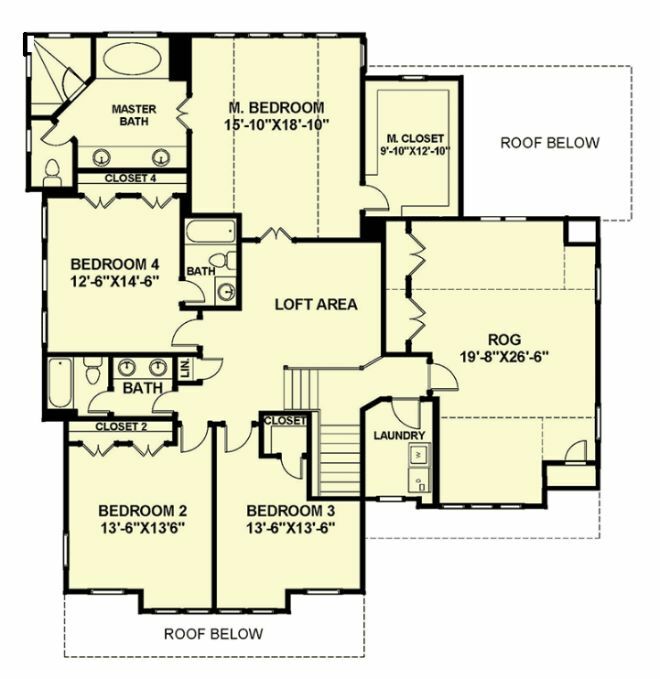 The master suite has a large walk in closet and a large bath. The second bedroom includes a built in desk and a large closet. 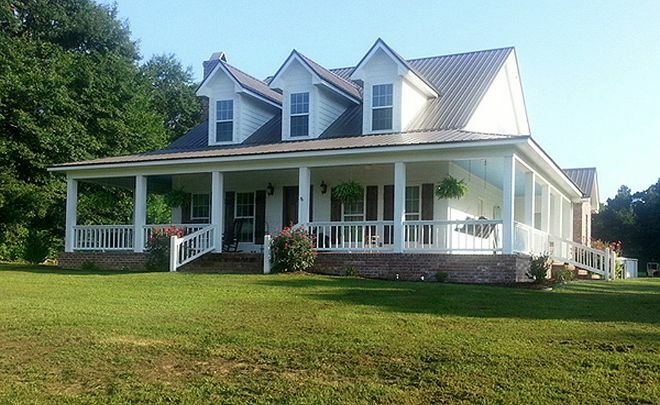 This cute farmhouse has the quintessential wraparound porch for classic country living. The foyer opens to the living room which includes a two-way fireplace connected to the dining room. The kitchen has a large island and is open to the den with a built-in media wall. A guest bedroom is downstairs, white the master suite and two other bedrooms are located upstairs. 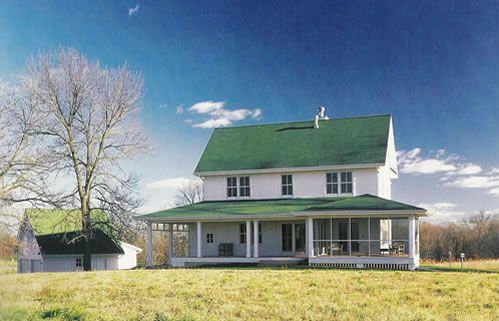 Did you see a farmhouse design that you loved? Let us know on Facebook which was your favorite! Imagine relaxing in a whirlpool right in your master bedroom suite or lounging in a hot tub on a deck as you watch the natural scenes around you. 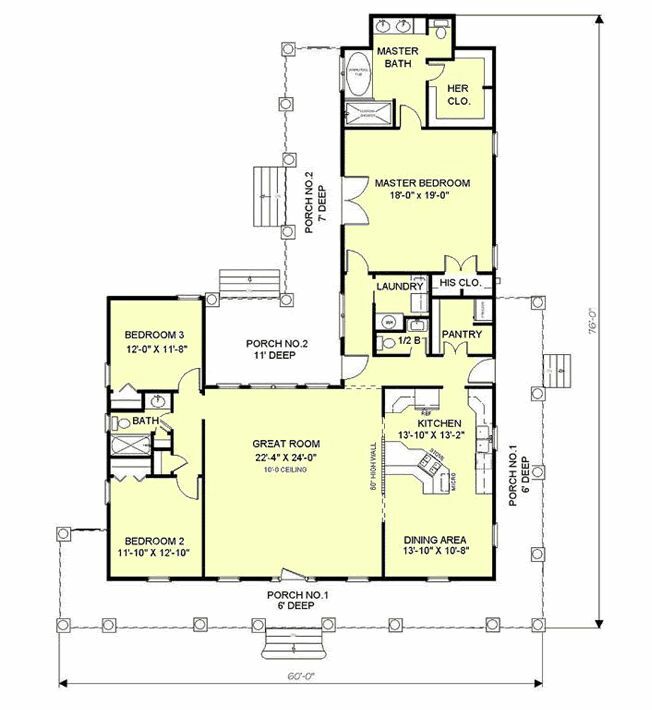 This home comes with a full apartment space on the second floor. It’s kept separated from the rest of the house by some roof space.